CEDAR CITY — Gov. 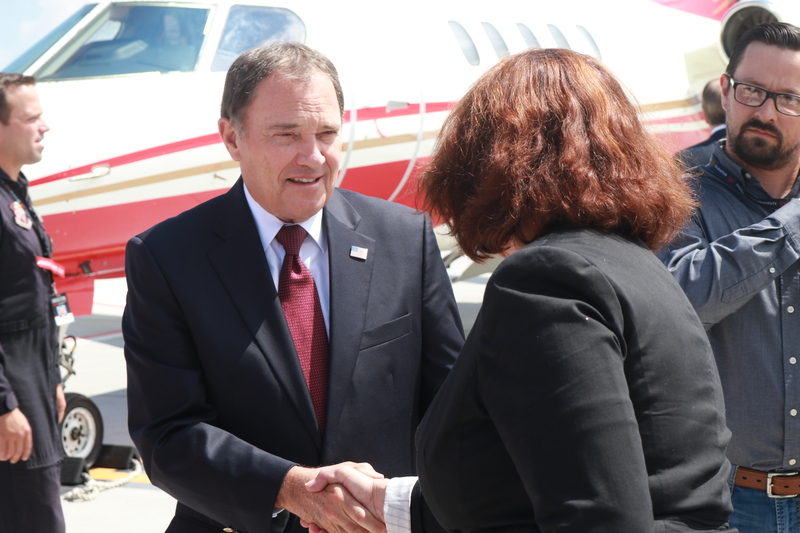 Gary Herbert paid a visit to Cedar City Airport Thursday morning to visit with participants and partners in the innovative Southwest Aerospace Manufacturing Strategic Workforce program. Herbert visited with nearly a dozen students enrolled in the program, who ranged from teenage high schoolers to adults in their 20s and 30s. Dozens of others were on hand to hear the governor’s remarks and pose for pictures afterward next to a small jet and a helicopter parked on the tarmac. Herbert told the students in the program they will be able to develop skills that will put them at the forefront of the fast-growing, high-paying aerospace industry. Herbert also took the time to visit with each participant individually, asking them how they got interested in the program. According to officials, the program is a collaborative effort of Iron County School District, Southwest Technical College, Southern Utah University and MSC Aerospace. Students can start and even complete certificates while still in high school, taking advantage of concurrent enrollment classes. After high school, they may either enter the workforce directly or choose to further their studies at either Southwest Tech or SUU. Should they later decide to switch schools they can now readily do so, thanks to a new dual enrollment agreement between the two institutions. Among the many possible career pathways are aircraft manufacturing, maintenance, design and engineering. Students in the program have already built or are building several fuselages. 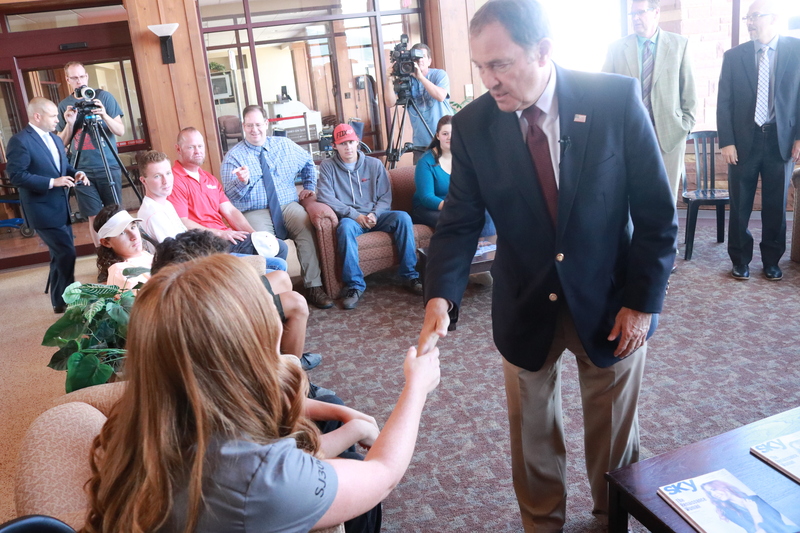 During his whirlwind visit to Iron County Thursday, Herbert also addressed public school teachers and administrators at the Utah Rural Schools Conference held at SUU, and paid a visit to the Southwest Tech campus.